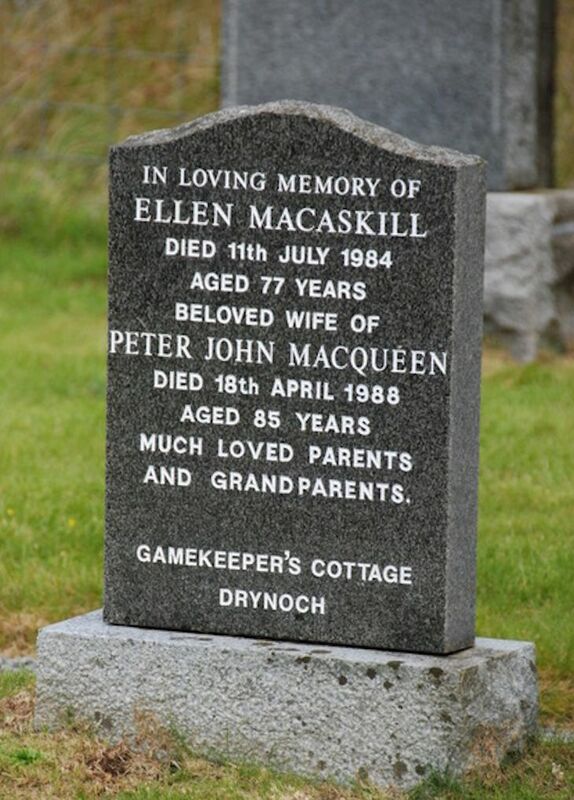 Skye Gravestones | Elen (Masakill) & Peter Macqueen. Elen (Masakill) & Peter Macqueen. In loving memory of/ELLEN MACASKILL/died 11th July 1984/aged 77 years/beloved wife of/PETER JOHN MACQUEEN/died 18th April 1988/aged 85 years/much loved parents/and grandparents. Picture Added on 14 September 2018.